A countryside protection group has warned two new “towns” could be built in Bedfordshire. The Campaign to Protect Rural England (CPRE) said Bedford Borough Council has received plans to build thousands of homes, and industrial units, as part of its consultation on its Local Plan 2032. 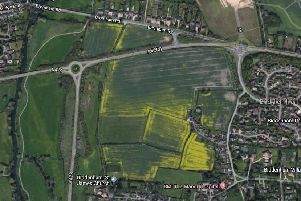 Developers have submitted proposals to build near Twinwoods and around Sharnbrook village, as part of the borough’s “call for sites”. He added the Sharnbrook proposal is for 2,500 new homes surrounding Colworth research site and science park, more than doubling the size of Sharnbrook. He added while CPRE acknowledges the need for new homes, development on this scale would effect the surrounding villages and county’s roads. CPRE Bedfordshire claims the 13,000 new homes already provided with outline or full planning permission are more than enough to satisfy the housing needs of local people till 2032. A council spokeswoman said the projected housing need to 2032 was assessed by an external party, as required by the Government. Failure to plan for that need to be met will mean a Government planning inspector will reject the council’s plan. She added: “The absence of a plan would make it difficult for the council to resist development of those parts of the countryside and the urban area that our communities would wish to see protected from unsustainable development. “The latest ‘Call for Sites’ exercise is another important step for the council in identifying potential land for new development.